The first African American marines are at risk of losing their Montford Point Marines Association this year. On The 21st: In the 1940s, the Montford Point Marines fought in World War II and were the first African-American marines. Today, some of those veterans live in Chicago, and for decades they’ve relied on a local veterans center that’s now at risk of closing. Plus, Chicagoan Brian Wallach was diagnosed with ALS more than a year ago, and he’s spending his time trying to raise 100 million dollars to help find a cure for future generations. 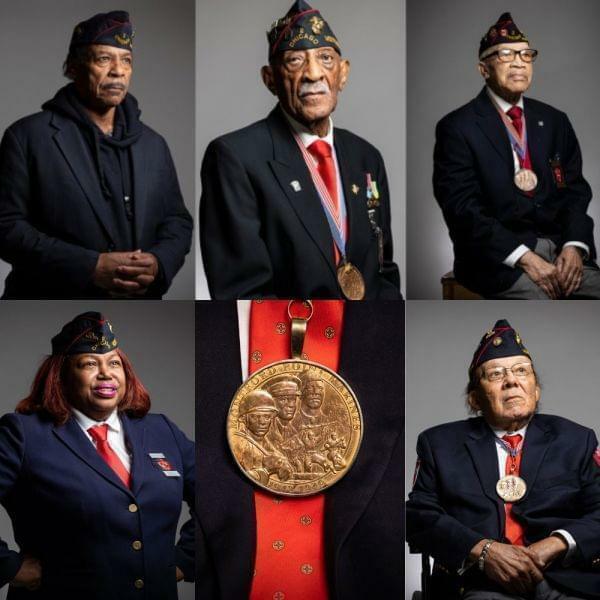 The Montford Point Marines were the the first African-Americans to serve in the U.S. Marine Corps back during World War II. This was during a time when the entire military was segregated. In 2011, all Montford veterans, both living and deceased, were awarded the Congressional Gold Medal. Today several of those marines are still alive and living in Illinois, most in their 90s. But they’re at risk of losing their veterans’ center on Chicago’s South Side. WBEZ Reporter Susie An has been reporting on this, and she joined us from the Illini Center in Chicago. “They were the first African Americans to serve on the Marine Corps, and they were destined to fail. Everything was put in front of them to fail, but they surprised the world and they succeeded." What do you think of when you hear ALS? Maybe Lou Gehrig or the Ice Bucket Challenge come to mind. But, even though it’s estimated that about 20,000 Americans are living with ALS, beyond that, many of us don’t know much about the disease. Brian joined us in our studio at the Illini Center in downtown Chicago.